Lo and behold, on a recent day I scanned the little islet in the midst of the Sylvan Water and found this Great Blue Heron. Had the bird stuck around all winter? (We’ve have very few days with frozen water). 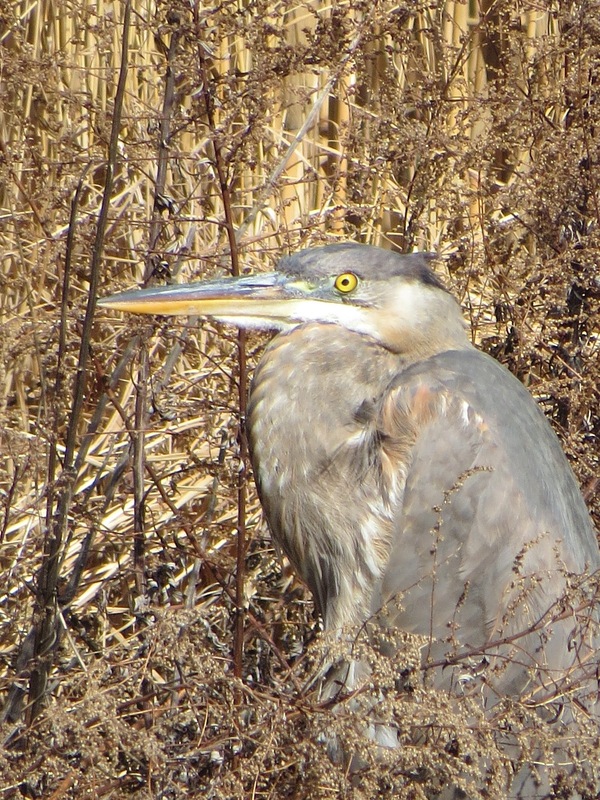 I did see a GBH sail across the Sunset Park plain back in January, heading for the harbor or beyond. This is particularly compelling: the notion of “cognitive elite” and the political uses of calling your enemies stupid. I have definitely committed that sin.